Since the beginning of time, we were created to be dependent on the divinely created earth, especially plants and trees. Plants have affected everything in our lives: our food, our clothing, our homes. It is only as we have “evolved” that we have moved farther and farther away from natural plant materials to manufactured materials. The question is, have we moved closer to health as we move further away from nature? Of course in some instances we have made great strides in healing, but in many instances the side effects are even worse than the original issue! The healing benefits of essential oils have and continue to be well-documented and they don’t pose a toxic threat. Without going into a deeply scientific discussion, it is easy to understand the effects of our various vibrational frequencies. Our everyday vernacular clearly describes vibrations. When we feel ill we say we are feeling “low” or we “just don’t have the energy,” etc. When we feel healthy we state that we are “jazzed” or we are “energized.” An unhealthy state of our physical or emotional selves produces results that are in relation to lower or negative energetic or vibrational states. And healthy states easily produce results that resonate with higher or positive vibrational frequencies. Our culture offers many clichés such as “when it rains it pours” and “I’m on a roll!” to describe the phenomenon of vibrational attraction, or the Law of Attraction. We intuitively know that when things are going “right”, we can expect that more things will go “right.” Just as we know to expect more trouble when we’re experiencing a down or negative state. It was while watching the Olympics that I realized I had an incorrect prejudice about using supplements and other tools to manifest my desires or to achieve maximum wellbeing, and even more detrimental to believe that I could achieve ultimate control and force my desires into reality. The two most basic functions we need to survive are controlled entirely by the divine or universal energy. Our heart pumps and our lungs fill involuntarily throughout our life. And none of us can survive for very long without nutrition and hydration. We were created to rely on the divine, and to consume and use the natural resources we need to grow and be healthy. Elite athletes rely on all their resources plus supplements and their coaches to reach ultimate success. They rely heavily on proper nutrition, guarding their mental and emotional states and availing themselves of whatever they can to maintain optimum support in all these areas. Though most of us are not elite athletes, we are all divinely created and therefore all deserving of the support we need for wellbeing and abundant prosperity. Essential oils, because of their specific chemical configuration, easily and quickly penetrate cell membranes. Oils applied topically are absorbed entirely in moments, leaving no oily residue. The oils then rapidly travel throughout the body via the blood and tissues, enhancing cellular function, increasing oxygen and energy. It is vital to remember that raising vibrational frequency raising capabilities apply only to therapeutic-grade essential oils. Essential oils stimulate an increase in energy within the center of the brain where the control glands of our physical body reside. These glands - pituitary, pineal, thymus, hypo thymus, and amygdala – make up the limbic system, which can be activated by smell. We can not only raise the vibrational frequency within our physical body but within our spiritual self as well, easily and pleasantly with just a few drops of our favorite essential oil. There are literally hundreds of single essential oils and combination blends. Each one offers unique and specific benefits including how they work to raise our vibrational frequencies. As you work with essential oils and meridian balancing, use your intuition to guide you to the formula that is right for you. Remember, you cannot get this work wrong; you can only learn and improve and get better with experience! Each oil offers specific support for emotional, mental and physical health. Some oils and blends assist us in releasing and letting go, clearing and cleansing. These oils are terrific tools to use in conjunction with EFT, supercharging the effectiveness of the process and aiding us in fully clearing negative blocks holding us back from manifesting our intentions. Other oils and blends are more supportive of creation, development and advancement toward our intentions supporting the ideal manifestation of our intentions. These oils amplify those positive qualities and vibrations necessary in order to reach our potential. As we choose to accept the reality of our intentions with EFT, these essential oils maximize our vibration to the perfect attractive level. As you learn and think about the various options available to you, trust your instincts to draw to you what’s perfect for you at this moment. For example, if you are exceptionally nervous about even beginning this kind of work, a simple single oil such as Lavender may be the best place to start. The British Pharmacopoeia still features lavender as one of the essential oils with therapeutic benefits, most notably it’s ability to promote a calming peace and harmony. For a list of just some of the Essential Oils, singles and blends from Young Living my clients and I have used supporting our physical fitness goals to gain amazing results quickly, peacefully and more easily, click here. While some are drawn to individual oils, personally I’ve found great benefit in the blends especially as their name easily reflects the resulting benefits. All the oils can be use individually, or combined to create even greater benefit. Keep in mind that while sometimes shifts are easily felt and recognized, sometimes the shift may be subtle or not felt at all. It’s not that the shifts don’t occur but that we may not be able to recognize them at first, or we may have quite a bit of negativity to release before we can more readily feel positive shifts. And still further, sometimes the shifts occur outside our own powers of perception and won’t be readily visible to us until after the fact. Over time and with the release of more and more negativity, you’ll more easily be able to recognize shifts quickly. This can take some time though, so be patient with yourself. It took a lifetime to accumulate negative feelings and experiences, so don’t despair if one session doesn’t fix everything immediately. Regardless of your conscious experience, be confident that you are doing great things for yourself. However they are collected, essential oils are highly concentrated. To produce 1 pound of essential oil requires 50 pounds of eucalyptus, 150 pounds of lavender, 400 pounds of sage, or 2,000 pounds of rose petals. The costs can sometimes seem high, but what is the value of restoring wellbeing? And what is the value of the support as we perform our work to create our manifesting desire? We remember our early science classes where we learned about wedges. A wedge is a mechanism by which we can exert the same amount of force but lift a far greater weight. We use “wedges” all the time effectively and in most cases wouldn’t consider doing the work without them. We shower daily and use the power of soap to help us complete the job of cleaning. We cook our food with the support of a host of equipment and resources that make what used to take weeks a snap. Essential oils act as wedges in our work to heighten our vibrational frequency, either doing the work for us when we can not, or making our own efforts exponentially more effective. As we seek to raise and harmonize our vibrational frequency in resonance with our desired intention, we are seeking to effectively experience entrainment. A universal concept of physics first observed in the 17th century, the principle tells us that as two bodies come in contact with each other, they begin oscillating in resonance with each other. It further states that whichever body is more dedicated to it’s state will affect the other body to the point where the other body will eventually conform, becoming in harmony with that stronger body. We see the phenomenon in so many aspects of life: two hearts coming together actually begin to beat in sychronicity, in similar timing. With entrainment, we can use the power of Essential Oils to raise our vibration higher immediately! We can use the oils to “lubricate” the work of clearing our stuck energy, greasing the wheels of our manifesting efforts and reducing the friction we experience as we move toward receiving our abundance. In manifesting, we seek to bring our vibrational frequency into alignment and harmony with that which we desire. When we seek love, we can use Rose oil to raise our vibration to love and keep it there consistently. Essential Oils have been clinically shown to support dissolving negative feelings, release stored memories, increase mental acuity, make cognitive shifts in beliefs and open up gateways to creating new patterns. When we are unable to clear a block, or the work is taking longer and more effort than just a few sessions, Essential Oils can keep us feeling supported, help us open up when we are ready and support us in continuing enough conscious and physical effort to finally realize the changes we seek. It is the chemical constituents of the plants, not the mere aroma, that causes these changes and conveys the heightened vibrational frequencies. A single plant contains so many different components, it may appear their benefits are limitless. It is of vital importance to ensure the Essential Oils used for any wellbeing or manifesting purpose are of what’s called “therapeutic-grade.” There are so many available options, however many are synthesized and can contain extenders or other chemicals that either alter the helpful benefits or make them void. While the additives can be “organic” in nature, they will still alter the effectiveness of the oil itself. Just as with Feng Shui or some of the energy modalities such as EFT, learning about Essential Oils can feel overwhelming at first. So much science and philosophy to learn about and comprehend. Yet we don’t have to be overwhelmed at all! Many of the oils that convey astounding benefits are from plants we know and love already. 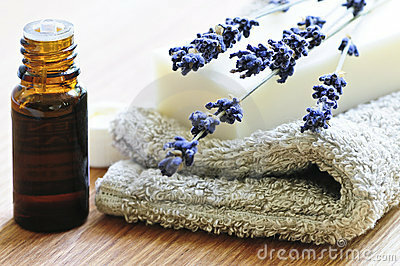 Essential oils of Lemon, Peppermint and Clove lift the spirit, calm the stomach, convey relief from pain of all sorts. And none of them is scary or overwhelming. It has been said that all we need is within, and that’s true of ourselves and our world. We keep seeking to create a new, more improved answer to what ails us when right in our own gardens we see the answers. Properly harnessed, produced as a therapeutic-grade oil, these familiar and beloved plants have been the answer for centuries and can be our answer today. Each energy modality can work wonders alone on their own, yet why use a spade when you can harness the power of a bulldozer to clear the field? Essential Oils have been clinically show to exponentially increase not only the effectiveness of other modalities including chiropractic and energy modalities, but perhaps even more importantly they’ve been shown to extend the benefits of the modality as well. That means that not only will your chiropractic session be easier and more effective during your session, but your alignment will hold much longer too! Essential Oils make all our restoration work much more effective in every way, especially cost. Truly Essential Oils are wonderful tools of leverage to create astounding wellbeing and abundance. Learn how to add therapeutic-grade Essential Oils to your own energy work including Emotional Freedom Technique and Feng Shui, click here to schedule your Living Harmony sessions now. We’ll work together in session combining the powerful effectiveness of energy work along with the oils. With just a few sessions, you too will be able to use the leverage of essential oils positive vibrational frequency increasing the effectiveness of your clearings and manifesting work! Listen to this FREE informative and fun class to learn how you can use nature's power.